"I just wanted to say thanks for all your great help. Over the past 15 years I've been looking for a rock solid printing/design company to help me with brochures, mailers, cards, etc. I found them with PrintingForLess. You will now get ALL my business." Get inspiring design ideas for brochures, business cards, mailers, catalogs, folders and more in these free PDFs. California bought energy contracts at minibar prices, says the comedian Dennis Miller. The governor who got California into its $38 billion deficit jam is said to be meaner than Richard Nixon, blander than Gerald Ford, more ineffectual than Jimmy Carter--and that's from his supporters. About the best thing one can say about Governor Gray Davis is that he's not purely incompetent. He's unlucky, too. California took in 44% of its revenue from fewer than 10,000 capital gains tax payers in 2000. When the easy money flew off, so did the tax receipts. But here's California's real problem. It is out of step with the Cheap Revolution. The price of a 2,200-square-foot home on a quarter-acre in Palo Alto, with cracked linoleum floors and avocado-colored appliances, remains the highest in the country: $1.2 million (down from last year's $1.5 million). There is a reported 30% glut of office space in Silicon Valley and, unofficially, it may be as high as 40%. This means you can now negotiate your way into a second-rate office with smelly carpets for under $30 a square foot per year. Congratulations! Good thing California counters its toppy infrastructure costs with America's best public schools, low taxes and business-friendly regulations. Yeah, right! Andrew Field--Printingforless.com, Livingston, Mont. You met him last year (see Digital Rules, Sept. 30, 2002). Field owned a print shop in Livingston, population 6,851, that was barely breaking even. In 1998, while fishing the Yellowstone River, he got an idea: There must be scads of small-town printers like me, in the same boat, as it were--big debt payments on the printing press and not enough work to pay it off. Hmmm. Why not use the Web to aggregate small fries like myself into a single virtual shop with national reach? Field has done just that. Last year Field had confided to me over Moose Drool ales that PrintingForLess.com would take in $8 million in 2002--an eightfold rise in four years. Impressive. In July I landed my Skylane on the narrow, windswept runway on a bluff outside Livingston and visited Field again. I wanted to see how things were going--whether his company had hit any potholes. Field picked me up at the runway and we drove to his office. On the way we stopped for cold, bottled water across the road from the Teslow Grain Elevator, the tallest building in Livingston. A pack of Harley-Davidsons roared by. Field has 75 employees and six dogs crammed into the old Livingston Creamery. It was a 90-degree day, and the heat from the Macintosh computers had the office cooking at 100 degrees. Everybody wore shorts and sandals. Service reps sweatily worked the phones, asking customers such questions as: "Are the faces in the Photoshop file you just e-mailed me really supposed to be green? If not, we would be happy to correct them." This year Printingforless.com will do $12 million or better--up 50% from last year. Field has added service reps with training in color processing and printing to make sure the customers always get flesh-toned faces in their brochures. This new service kicker protects Field from any challenger who thinks PrintingForLess.com simply brokers excess printing capacity for the cheapest price. Mike and Toni Sottak--Wired Island Ltd., Turks and Caicos Islands. If you carry around a full tank of envy, please don't read this next one. Your jealousy is likely to erupt and consume you. Mike and Toni Sottak live on the island of Providenciales, in the Turks and Caicos Islands, a British dependency in the Bahamas. Five years ago they were Silicon Valley commuters. Mike would get up at 4:30 a.m., depart his San Francisco driveway at 5:30, and for the next two hours bump and grind his way down Highway 101 to a public relations job in San Jose. His wife, Toni, had a mere 90-minute slog to her p.r. job in Menlo Park. Mike and Toni are still in p.r. They run a firm called Wired Island from a two-story building off the Leeward Highway in Providenciales. Their clients are mostly in the semiconductor field and include Xilinx and Broadcom in the U.S. and Chartered Semiconductor in Singapore. Mike and Toni have a dozen or so freelancers working for them who are based in the U.S. But Mike says his and Toni's face-to-face contact with clients is necessary only "once a quarter or so. Truthfully, it's overrated." One morning last month the Sottaks, their nephew and I chartered an ancient Piper Aztec twin-engine plane and flew over the islands at 150 feet. We buzzed the house of actor Bruce Willis, on Parrot Cay--10,000 square feet and one bedroom, according to local gossip. Mission accomplished, we landed and repaired to Danny Buoy's, an Irish pub and grill that Mike and Toni recently built from Wired Island profits. "We're the first bar on the island to serve Guinness draft," Mike says proudly. Mike and Toni (they have a 3-year-old daughter and another baby due in November) own two homes--one on Providenciales and a ski chalet on Stratton Mountain in Vermont. These two storybook dwellings cost about the same as that $1.2 million stinker in Palo Alto with stained toilet bowls and avocado-colored oven. Andrew Field owns a custom home on 22 acres, a half-hour south of Livingston. He has a perfect view of Pine Creek Peak, a glacier. Field thinks he could get $250,000 for his spread. I almost feel sorry for Gray Davis. 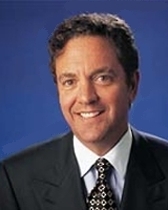 Visit Rich Karlgaard's home page at www.forbes.com/karlgaard or e-mail him at publisher@forbes.com.